Proline Racing’s head man Eric Dillard hops behind the wheel of a Pro Mod for the Fitzgerald USA Thunder Valley Nationals. In a move the just came together within the last 48 hours or so, Eric Dillard, the fearless leader over at Proline Racing, and the man responsible for the quickest and fastest turbo cars in the world will be behind the seat of Shane Molinari’s turbocharged Pontiac. This is not something that was planned at all. Shane contacted Eric after Shane became ill and was not going to be able to make it to Bristol from his home in the Northwestern end of the country. 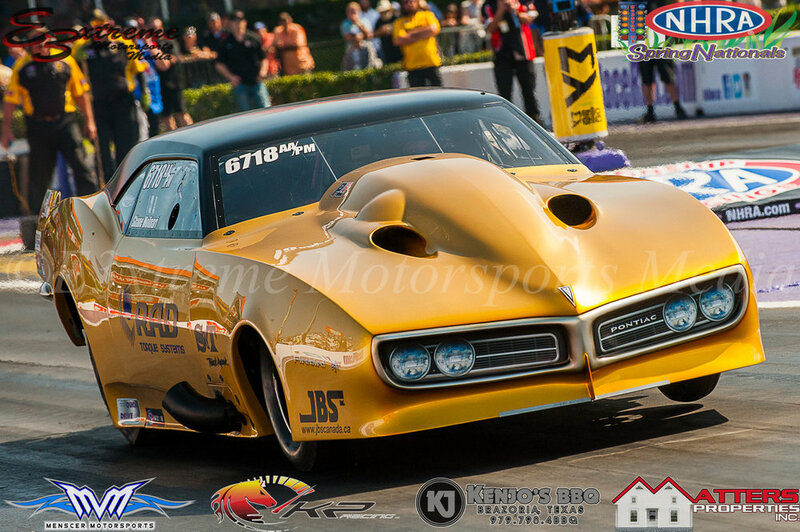 Eric was a natural choice to fill in, as he is well versed in piloting a turbocharged pro mod. We were able to catch up with Eric last night, and while he enjoys driving pro mods, he was sad that Shane couldn’t be here to pilot the beautiful hotrod. For those that don’t know, Eric is a very accomplished Pro Mod racer as well as Shane. 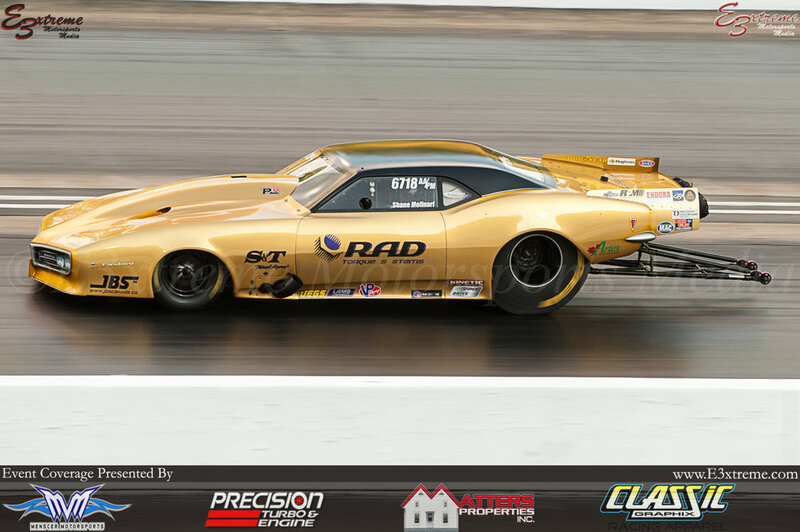 Eric has a U.S. Nationals win in Pro Mod and is typically the test driver for the Q80 Racing program as well. E3xtreme is under the impression that Shane will be back in tip top shape come next weekend in Norwalk, at which time he will be back in the seat and rippin’ that gold Pontiac down the track. We look forward to seeing Shane back next week, but for the mean time we hope he is able to sit back, get some rest, get healthy, and watch Eric have to sweat buckets in the southern heat this weekend.